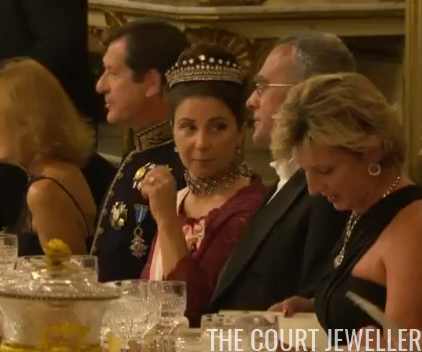 This sparkling diamond tiara dates to the last years of the Portuguese monarchy. It was a wedding gift to Queen Amelie of Portugal from her father-in-law, King Luis. She kept it after the monarchy was abolished, and she left it in her will to her godson, the current Duke of Braganza. His wife, Isabel, wore the tiara on her wedding day in 1995. Portugal is now a republic, but the Braganzas would be the nation's king and queen if the monarchy hadn't been abolished, and they sometimes attend official events. Their wedding was even broadcast on television. 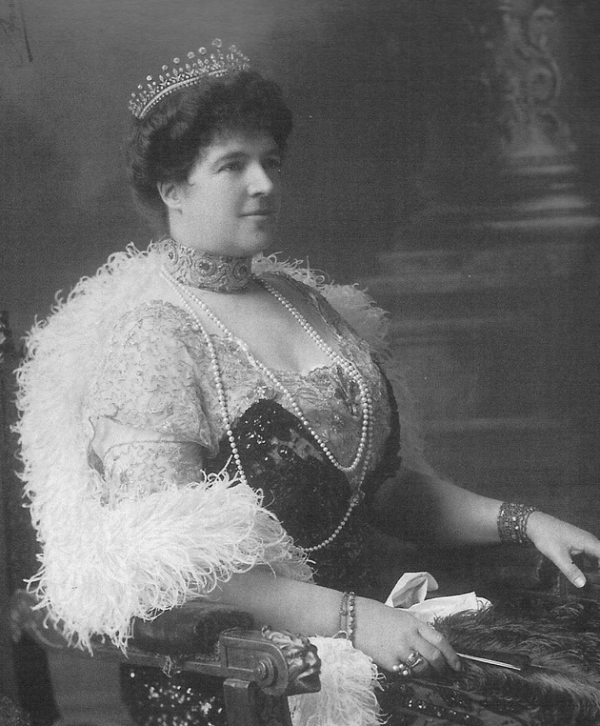 But although Isabel attends white tie events on a semi-regular basis, she doesn't often wear this sparkler, which is the grandest of the family tiaras. But when King Willem-Alexander and Queen Maxima of the Netherlands made a state visit to Portugal this October, it was thrilling to see Isabel attending -- and wearing the King Luis Tiara! It's wonderful to see these relics of monarchies past sparkling in public once more.